Learning to write has never been easier. 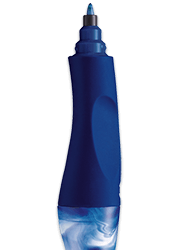 The EASY start family provides the perfect handwriting pens and pencils for early writers. 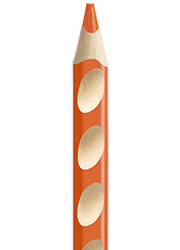 No matter where your child is on their learning to write path the specially designed pens and pencils will make learning to write fun. From first doodles to learning cursive writing there is a pen or pencil which is designed by scientists to help improve their handwriting. The unique triangular design with its non-slip grip moulds ensures a comfortable and relaxed handwriting experience. Suitable for writing and sketching. Fits perfectly into a child’s hand, for pre-school and school level from 5 years of age. The extra-thick 3.15 mm lead is extra solid, ideal for learning to write. 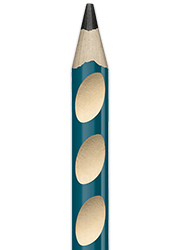 The intuitive design with its non-slip ergonomic grip and the prominent triangular shape provides a pencil for colouring ensuring a relaxed hand posture. No blotting or scratching for both left- and right-handed children from the first words to the final essays. Suited to children over the age of seven, whether left- or right-handed, thanks to its non-slip and ergonomic grip zones made for either hand. The EASY Start Family is a colourful and ergonomic range especially designed for learning and improving handwriting skills at a young age. The products were developed with the assistance of motor skills experts (Prof. Dr. Ing Ralph Bruder, Head of the Institute of Ergonomics at Darmstadt University of Technology, and Dr Christian Marquardt, Fine motor skills expert, Munich-Bogenhausen hospital). The pens are available in left or right handed versions. Every product is designed with a special purpose that will not only provide an intelligent and intuitive fundament for beginners, but is also truly fun to use. Because we believe you can only improve your handwriting skills if you have fun while doing so. The STABILO Early Writers Pack is a bumper package of resources to help you support your child with their early writing skills. Based on extensive research undertaken by experts on behalf of STABILO, our Early Writers Pack helps young children practice and develop the fine motor skills that are the building blocks for learning to write. To download the PDF Early writers pack click here.